QUESTION: Why should I choose Smart Science vitamins and supplements over other brands? ANSWER: Our supplements are carefully formulated to offer you the best possible support for your health concerns. We base each and every formula on the most up to date scientific research available. When creating a new product, we always look to human control studies first-that helps us build products that deliver real life-changing results. We make our products for our customers, but we also make them for ourselves and our loved ones and we want them to work. That's why we are always striving to create the very best formulations-based on sound science. Your purchases are always risk free. We stand behind every single product we make with our 100% Money-Back Lifetime Guarantee. If you order one of our formulas and it doesn't meet your expectations-simply return it for a refund of the full purchase price (less shipping). No questions asked. QUESTION: How should I take your supplements? ANSWER: Every supplement we make has detailed instructions right on the label. Customers are asked to follow label instructions unless otherwise directed by their physician. QUESTION: Should I check with my doctor before I take these nutrients? ANSWER: Before making any changes to your diet, or starting a new nutritional plan, we always suggest you talk to your health care professional. QUESTION: What if I need to return products I purchased? 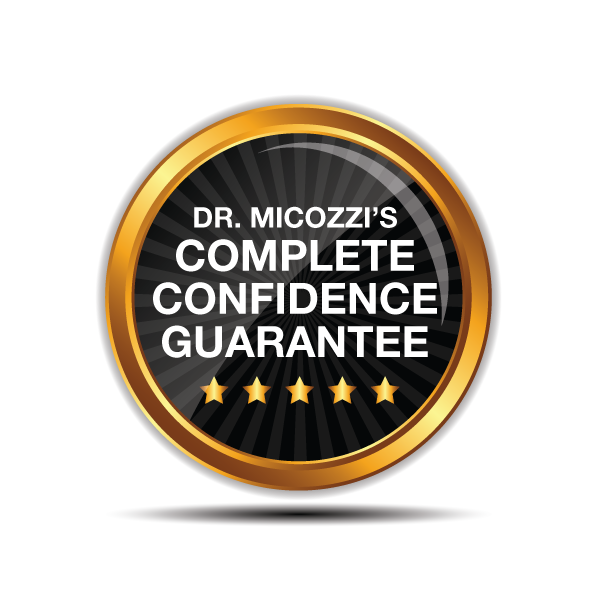 ANSWER: We are so confident that our formulas are the best in the world that we back every one of them with a 100% Money-Back Lifetime Guarantee. That means you may return any unused portion of the product at any time, for any reason. And we will refund your purchase price (less shipping). Simply fill out the return form that came in your package and include it with the products you wish to return. Then affix the pre-addressed return shipping label-located on reverse side of your original packing slip-to a securely wrapped package. QUESTION: What if I need to reach you? ANSWER: You can contact Customer Care right now by clicking here. If you would rather contact us by phone our friendly customer care representatives are available to assist you by calling toll-free 1 (800) 292-5808, Monday–Friday from 8 am–11 pm Eastern Standard Time, 10:00 AM - 8:00 PM EST, Saturday . If you are calling from outside the U.S. please use (443) 353-4397. QUESTION: What is the best shipping method to get my products? ANSWER:Auto-Delivery is the best way to get all of your supplements right on time and never pay for shipping. With our Auto-Delivery service you never have to pay for shipping. That's a savings of over $83 a year on shipping costs alone. Most people need to take a supplement for a few months before they see the full benefits. That's why it is so critical to always have a fresh, steady supply on hand. With our free Auto-Delivery service, we've made it simple for you to get the products you need, when you need them. Now you never have to worry about running out before you see the results you're looking for. We designed Auto-Delivery to be, well, easy! Simply choose the Auto-Delivery option when you're placing your order. We'll ship your order as soon as possible. Then, before you run out of your product, we'll automatically ship out a fresh supply and charge the same credit card you used for your first order. Now you never have to worry about calling us to reorder, paying for shipping, or running out before your new supply shows up. This is truly the best way to get your supplements. We cover the shipping. We do all the work. Plus, as long as you are enrolled in Auto-Delivery, you are guaranteed the same low price you signed up at. That means that even if our costs go up and we are forced to raise the price of a product-it won't impact you one bit. You've got full price protection with Auto-Delivery. And on top of the FREE SHIPPING, PRICE PROTECTION, and NO HASSLE REORDERS, Auto-Delivery is also completely flexible to your needs. If you ever want to suspend or cancel your Auto-Delivery service simply give us a call at our toll-free number. There are never any strings attached and no hidden fees to worry about. You're never obligated with Auto-Delivery. FREE SHIPPING-that's a savings of over $83 a year! FRESH SUPPLY-no running out-your order shows up right when you need it. You never have to worry about reordering because we do all of the work for you. PRICE PROTECTION-once you're signed up with Auto-Delivery, your price is guaranteed. Even if we are forced to raise it for everyone else. FLEXIBILITY-you can change or cancel your deliveries at any time-with no strings attached. We are always happy to make Auto-Delivery work better for you. Whether you have travel plans and want your orders sent to a different address you prefer us to charge your card on a specific day each month or you'd just like to get your shipments spaced further apart-we're always ready to set things up the way you want. QUESTION: Are your supplements safe? ANSWER: Yes, we formulate our supplements with natural ingredients that have a history of safe use. However, everyone's experience with a dietary supplement is different, so please consult with your doctor before taking any dietary supplement. QUESTION: Are your products regulated by the FDA? ANSWER: All foods and dietary supplements are regulated by the FDA and manufacturers are required to ensure that they are safe for general consumption. However, the FDA does not specifically approve either dietary supplements or foods. QUESTION: Are there mailing restrictions on your products? ANSWER: Unfortunately, our supplements cannot be shipped to Nigeria, Austria, Germany, and Uruguay due to their strict customs regulations. QUESTION: How will my order be shipped? ANSWER: Your order will ship via the United States Postal Service (USPS). If your order is being shipped to a U.S. address, USPS provides tracking information. If your order is being shipped to a non-U.S. address, we are unable to provide tracking information at this time. ANSWER: Orders placed with standard shipping to addresses within the U.S. should be delivered within 7–10 business days. International orders may take up to 15 business days. QUESTION: Why is there a lead warning on some of your product labels? "PROPOSITION 65 WARNING: This product contains lead, a chemical known to the State of California to cause cancer and/or birth defects or other reproductive harm." In the State of California there exists what is referred to as "Proposition 65." Proposition 65 is the California Safe Drinking Water and Toxic Enforcement Act of 1986. Any company that operates in California, sells products in California, or manufactures products that may be sold in or brought into California is subject to Proposition 65. Since our products are sold in California, Proposition 65 applies to us. Proposition 65 requires warning labels on any product that may contain any of 600-plus elements that the California Air Resources Board considers a carcinogen or a reproductive toxicant. These elements include lead, brass, PVC, and a multitude of other everyday elements. Many of the elements listed under Proposition 65 are common everyday items-including naturally occurring elements such as lead, that often exist in trace amounts in nutritional ingredients as a result of the soil where they are grown. The list of elements keeps changing and is periodically updated. Elements are added to the list and some elements are removed. It is excessively difficult to keep track of the changing list of elements. There are penalties for not complying with Proposition 65. Failure to label products may result in a civil penalty of $2,500 per day. If a company's product is sold or is purchased outside the State of California and brought into California, the company may still be found in violation. Various trade organizations have issued notices to manufacturers warning of Proposition 65 and its implications. Included in the warnings were suggested methods of protection from Proposition 65 litigation and violations. Protection requires warning consumers about the possibility of dangers from products. A warning label such as the one we use is considered to comply with warning consumers. QUESTION: What is your return and refund policy? ANSWER: If you find you're not satisfied with your product for any reason, just let us know and we'll issue you a prompt refund of the entire purchase price (minus shipping). If you would like to adjust or cancel your Auto-Delivery service, or have any questions, please contact customer service.